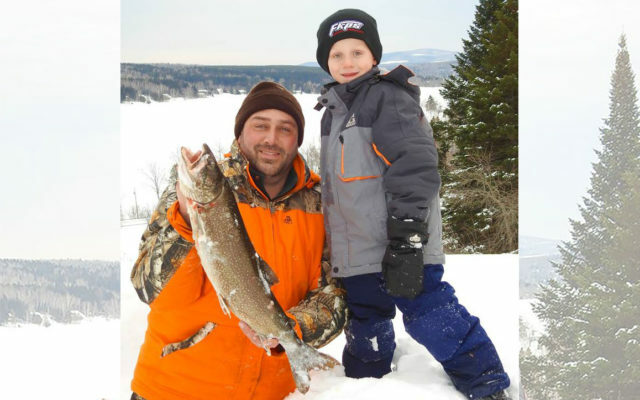 Hundreds of fishermen and women will once again compete for prizes totaling $18,500 and bragging rights during the Long Lake Ice Fishing Derby Jan. 25-27. ST. AGATHA, Maine — Hundreds of fishermen and women will once again compete for prizes totaling $18,500 and bragging rights during the Long Lake Ice Fishing Derby Jan. 25-27. While the headquarters for the 14th annual event is at the Long Lake Sporting Club, the derby is open to 10 bodies of water including Long Lake, Square Lake, Cross Lake, Eagle Lake, St. Froid Lake, Beau Lake, Glazier Lake, Portage Lake, Carr Pond and the St. John River. Proceeds from registrations will go to the Edgar J. Paradis Cancer fund, which helps families throughout the St. John Valley who are affected by cancer. While “that fund will never have enough money to help everyone affected by cancer,” the derby already has donated more than $60,000 over the last 13 years, according to Paul Bernier, chairman of the Long Lake Fishing Derby. Bernier said the derby is no longer just an adult competition, but that children are also welcomed to participate in the family-friendly event. “There is nothing better than seeing the smile on a child’s face when they come in to register their fish,” he said. Registration fees are $15 per day or $25 for the entire weekend for participants who are 14 years old or older. The fee is $5 per day for anyone 13 or under. The popular event draws participants from around the state and beyond with registrations from Pennsylvania and across the Canadian border. Organizers boast that it is “Maine’s largest ice fishing derby” on their promotion flyers and last year drew a tournament record 1,101 registrants. “People look forward to this event. It breaks up a long cold winter,” Bernier said. He said the derby has a positive effect on the local economy as well. Registration forms may be found at convenience and sports stores and service stations in the St. John Valley, as well as in Caribou and Presque Isle. These registrations will be available at the outlets until they are collected by derby officials on Saturday morning, Jan. 26. Beginning Saturday morning, registration will only be available at derby headquarters at the Sporting Club. The opening ceremony for the event is 7-11 p.m. Friday, Jan. 25 at the Lakeview with entertainment by the Jerry T Band. During the ceremony, over $2,000 in various prizes for anyone (adults and children) registered for the derby will be raffled off. The fishing derby, however, officially starts at one minute past midnight, or 12:01 a.m. Saturday, Jan. 26, and ends at 5:30 p.m. Sunday, Jan. 27. Between the start and finish of the derby, Long Lake Sporting Club will operate as headquarters and official weigh station for all except muskie, and will have a large variety of derby clothing for sale. The muskie weigh station will be at Joe’s Country Store in St. Francis. The closing ceremony starts at 6:30 p.m. Sunday at the Long Lake Sports Club where cash awards for the largest fish and trophies will be handed out. For more information about this year’s Long Lake derby, visit online www.stagatha.com/derby or call Bernier at 543-6332 or 227-5252.